Part of building a new home in the Palo Alto, Sunnyvale, and Menlo Park areas is choosing the right kind of roof to put over your head. Keeping the elements out is our roofing company’s top priority, but we also want to make sure our roofing job meets your needs and fits what you’re looking for on your home. You probably are looking for a roof that is designed beautifully to match the rest of your home, but at the same time you want to choose a roof that is sturdy, will last a long time without having to be replaced, and that fits within your budget. There are several choices that home buyers usually consider when choosing a new roof. This is the kind of roof that usually is installed on most homes, and if it’s installed properly and doesn’t take too many beatings from the elements, it can usually last for decades without needing extensive repair or replacement. This roof is the typical homebuyer’s choice because it’s the least expensive, it’s easier to install on roofs that have steep gables, and it can be installed around chimneys and ventilation pipes, and it also has the lightest weight of any roofing material, making it compatible with homes of just about any structure. There certainly are many other factors that can influence the cost of installation, and at some point they probably will need to be replaced, but this kind of roof usually can be built quick while still being built with quality, and it’s suitable for those on a tight budget. These kind of roofs aren’t installed as much nowadays and sometimes are not permitted due to local fire codes, but they are very beautiful and can add some vibrance to the color of your home. The cost of this kind of roof is usually higher than a shingled roof, and while some wood roofs may be more durable than asphalt, re roofing will still probably have to be done at some point with this kind of roof as well. 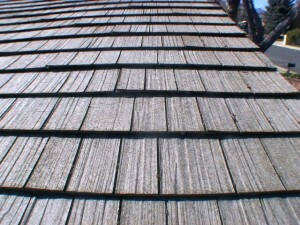 But if you’re interested in giving your home a little more of an antique touch, a wood roof would be a great way to go. Metal roofs such as aluminum, steel, and some that are a mix of asphalt and copper or aluminum and tile, are far more durable than asphalt or wood shingle roofs. They are also far more expensive and require a high amount of skill to install. Sometimes these roofs are installed as shingled pieces, other times they are soldered together in long sheets. All in all if you’re looking for a very strong roof that you’re willing to pay through the roof for, and you don’t need to have it installed too quickly, metal roofs are a great choice. The other kind of roofs out there are tile, concrete, and slate roofs. These kind of roofs are usually installed on buildings with extremely strong structures such as brick or cement buildings, and because of their extremely high costs, they are rarely purchased by a homebuyer. But if you can afford it, these are the most durable roofs lasting a century or more, and by far the most beautiful-looking roofs that have been built in America.